Price fact: The price is 46.99 £ higher than the average over the last 10 weeks. Price fact: The price is 1.78 £ higher than last week. The LG VRD 710 RRC features intelligent room navigation, multiple sensors, and a powerful lithium ion battery with the ability to operate for up to 100 minutes on a single charge. 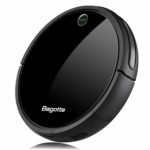 This compact and affordable robotic vacuum cleaner has two cleaning modes and an EPA class 11 filter to remove fine dust particles and allergens from your home. 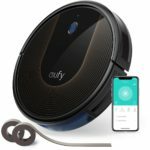 While it doesn’t have many connectivity features, this vacuum cleaner can be operated via remote control. The LG VRD 710 RRC comes with an advanced 2,330 mAh lithium ion battery, which provides enough power to clean 150 metres square or 100 minutes on average. The exact time available will depend on the age of the battery and cleaning mode used, with both Smart and Smart Turbo modes available to choose from. The minimum charging time is 180 minutes, and once again, this may take longer when the battery gets older. 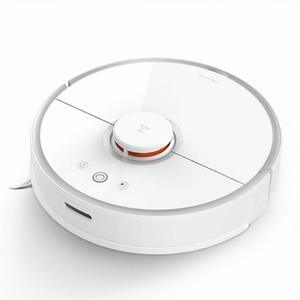 This robotic vacuum cleaner features a new navigation system with intelligent room recognition based on Dual Eye 2.0 technology. The navigation and sensor recognition system allows the vacuum to detect obstacles such as furniture, toys, and general clutter. This model can also avoid stairs thanks to its advanced sensor system, and clean under furniture thanks to its low 8.9 cm profile. 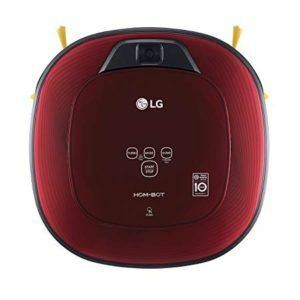 The LG VRD 710 RRC operates on most surfaces, including tiles, low-pile carpet, and hardwood floors, While it will struggle on high-pile carpet and very dark surfaces, this is common for most robot vacuums. This model has a dust capacity of 0.6 L, a weight of 3 kg, and a noise level of 60 dB. The LG VRD 710 RRC is available in a striking ruby red colour.